This cell phones are fully compatible with T-Mobile. For GSM carriers Like AT&T as well as GSM carrier that they need SIM cards (e.g. H20, Straight Talk, and select prepaid carriers) need to contact the service provider to check fully compatibility of the phone. This Unlocked cell phones will not work with other CDMA Carriers like Verizon, Sprint, Boost or Virgin. 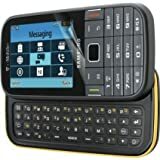 The Samsung SGH T379 Gravity TXT has a stylish design that is sure to make heads turn. 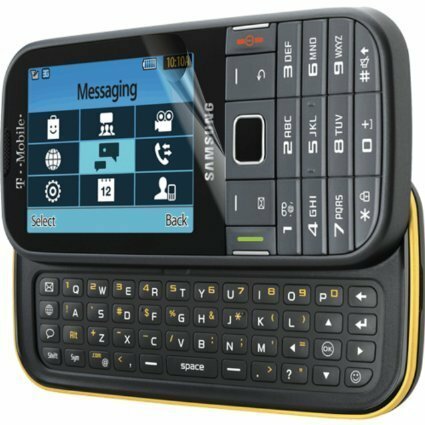 This Samsung cellular phone comes with a full QWERTY keypad that lets you text and type with ease. You can capture your cherished moments with the 2 MP camera of this QWERTY phone. With in-built GPS that also has A-GPS support, this Samsung cellular phone ensures that you never lose your way. The Samsung SGH T379 Gravity TXT lets you enjoy fantastic 3G speeds for easy browsing. What’s more, this QWERTY phone has Social networking integration, to let you stay updated. Ting GSM SIM card – Average monthly bill is $23. No contract, Universal SIM, Nationwide coverage, Only pay for what you use.